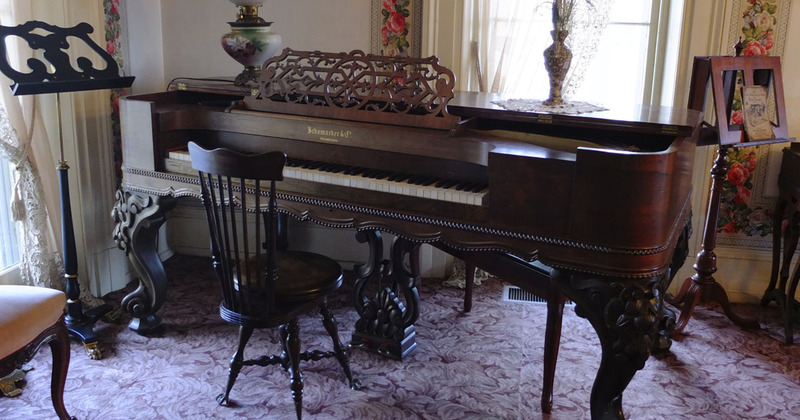 Slifer House Museum is an elegant, unique setting for private events that may be held indoors or outdoors. Host an intimate wedding inside, or a summer wedding on the porch. The space is perfect for small showers, anniversaries or birthday gatherings. On-site catering is available by Sodexo and more information is available upon request. For details about renting, please refer to the rental form. Planned construction in 2018: The museum is planning to break ground for an addition and apologizes that it is not able to take rental requests for 2018 at this time. In addition to renting the museum for events, the museum may also be rented for photo shoots. For a small donation, rent the museum for your next photo session. The setting is perfect for engagement, wedding, senior, and family photo shoots. Rental cost varies on inside/outside use and duration of time. Please click the links to view our policy and rental form.